Tasco Commercial Performance Coatings is always focused on providing you the best service and products possible. Contact us to hear about our latest products and solutions. Delfleet® Evolution is PPG's premium paint system for meeting the demanding needs and exacting specifications of OEM commercial vehicle manufacturers and fleet maintenance operations. Incorporating the very latest fleet coatings technology, this premier fleet coatings system is supported by one of the most comprehensive color-matching systems in the industry. designed for the commercial truck market. 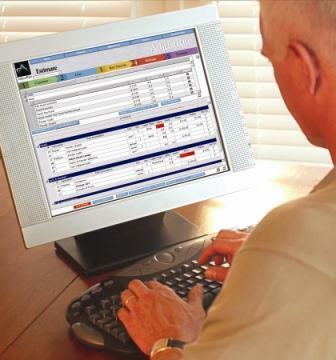 AdjustRite and AdjustRite Plus utilize actual truck information and automated features to dramatically reduce the time it takes to write an accurate and professional estimate. The AdjustRite System is a user-friendly, internet based commercial estimating system that was created by PPG and GTS Services. GTS Services is a software development company with over 20 years experience in estimating and integrated software solutions for businesses. Their knowledge provides a unique perspective for helping to develop software for the commercial fleet market.